The main inspiration is the human body. In the compositions are represented: central Nerve system, respiratory system, circulatory system and locomotor system. Organica was conceived as an entrance hall table for a private art gallery, designed to be a utilitarian sculpture. 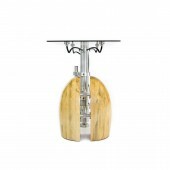 It blends Glass, Stainless Steel, Aluminum, Metal, and Wood, into a harmonic composition. Just like in the Human body, every single component is essential for the structural stability of the created system. Artistically, the composition is a balanced interaction of weight (heavy and light), time (contemporary and traditional) and motion (static and fluid). 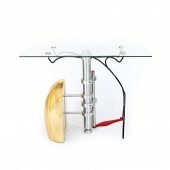 all metal components were fabricated by Human operated Mill, Lathe, and plasma cutter. Bent metal rods were shaped by traditionally jig and fixture techniques. 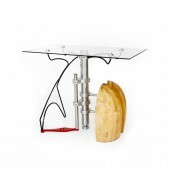 The wood components were created using traditional woodworking skills, machinery and tools. The top is a 10mm tempered glass. All parts but the glass were finished with automobile lacquer based paint and clear coat. More than a decade of design experience has given me a thorough understanding on the design process, from concept to merchandising. My international working and living experiences has giving me a multicultural approach to design. I have developed the ability to foresee obstacles within a design process and resolve related issues at an early stage. My constant attention to detail combined with great communication ensure both a satisfy client and high quality finished product. 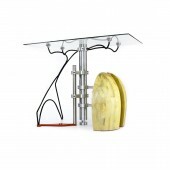 Organica Entrance Table by Fabrizio Constanza is a Nominee in Arts, Crafts and Ready-Made Design Category. · Click here to register today inorder to be able to view the profile and other works by Fabrizio Constanza when results are announced. 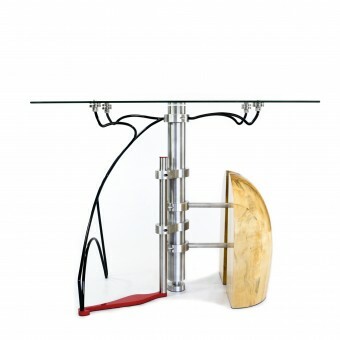 Organica Entrance Table by Fabrizio Constanza is Winner in Arts, Crafts and Ready-Made Design Category, 2012 - 2013. · Read the interview with designer Fabrizio Constanza for design organica here. 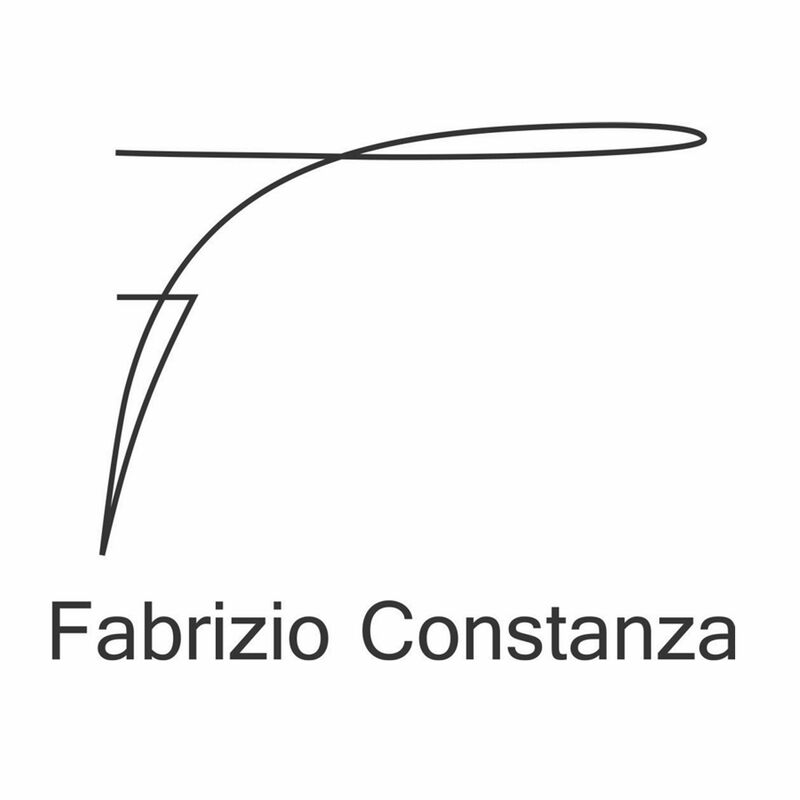 · Press Members: Login or Register to request an exclusive interview with Fabrizio Constanza. · Click here to register inorder to view the profile and other works by Fabrizio Constanza. Did you like Fabrizio Constanza's Art Design? Did you like Organica Entrance Table? Help us create a global awareness for good art design worldwide. Show your support for Fabrizio Constanza, the creator of great art design by gifting them a nomination ticket so that we could promote more of their great art designs.